Controversy exists regarding the optimal negative margin width for ductal carcinoma in situ (DCIS) treated with breast-conserving surgery and whole-breast irradiation. A multidisciplinary consensus panel used a meta-analysis of margin width and ipsilateral breast tumor recurrence (IBTR) from a systematic review of 20 studies including 7,883 patients and other published literature as the evidence base for consensus. Negative margins halve the risk of IBTR compared with positive margins defined as ink on DCIS. A 2-mm margin minimizes the risk of IBTR compared with smaller negative margins. More widely clear margins do not significantly decrease IBTR compared with 2-mm margins. Negative margins narrower than 2 mm alone are not an indication for mastectomy, and factors known to affect rates of IBTR should be considered in determining the need for re-excision. Use of a 2-mm margin as the standard for an adequate margin in DCIS treated with whole-breast irradiation is associated with lower rates of IBTR and has the potential to decrease re-excision rates, improve cosmetic outcomes, and decrease health care costs. Clinical judgment should be used in determining the need for further surgery in patients with negative margins narrower than 2 mm. This statement has been endorsed by the Board of Directors of the American Society of Breast Surgeons. This guideline was developed through collaboration between the Society of Surgical Oncology, the American Society of Clinical Oncology, and the American Society for Radiation Oncology, and is published jointly by invitation and consent in the Annals of Surgical Oncology, Journal of Clinical Oncology, and Practical Radiation Oncology. Breast-conserving therapy (BCT), defined as surgical excision of the primary tumor with a margin of surrounding normal tissue followed by whole-breast irradiation (WBRT), results in long-term cause-specific survival rates of greater than 95% for women with ductal carcinoma in situ (DCIS), as demonstrated in both randomized trials1 and observational studies.2,3 Although the addition of WBRT to surgical excision does not improve survival, it substantially reduces rates of ipsilateral breast tumor recurrence (IBTR), even among patients with smaller, non-high-grade DCISs.1,4 Microscopically clear margins, defined as no ink on tumor, were required in three5, 6, 7 of the four early randomized trials of WBRT for DCIS, but not in the fourth.8 These studies provide no information on whether more widely clear margins than no ink on tumor would reduce rates of IBTR in patients receiving BCT. 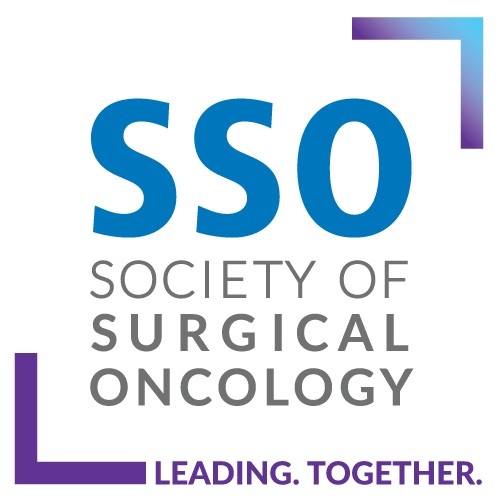 Since BCT was established, the landscape of DCIS management has evolved, with advances in imaging and pathologic evaluation and the availability of adjuvant endocrine therapy, resulting in a decline in IBTR rates.13 In view of these changes and the lack of consensus on what represents adequate negative margins in DCIS, the Society of Surgical Oncology (SSO), American Society for Radiation Oncology (ASTRO), and American Society of Clinical Oncology (ASCO) convened a multidisciplinary margins panel (MP) to evaluate IBTR in relation to margin width. 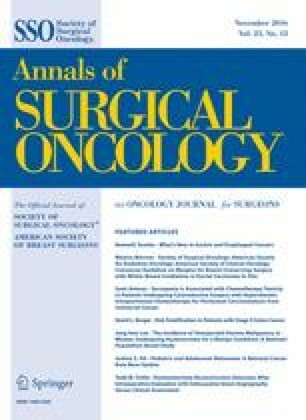 The primary question addressed was: “What margin width minimizes the risk of IBTR in patients with DCIS receiving breast-conserving surgery?” The guideline developed from this consensus panel is intended to assist treating physicians and patients in the clinical decision-making process based on the best available evidence. The key findings of the guideline are summarized in Table 1. Are positive margins associated with an increased risk of IBTR? Can the use of WBRT mitigate this increased risk? What margin width minimizes the risk of IBTR in patients undergoing WBRT? Is treatment with excision alone and widely clear margins equivalent to treatment with excision and WBRT? What are the effects of endocrine therapy on IBTR? Is the benefit of endocrine therapy associated with negative margin width? Should margin widths > 2 mm be considered in the presence of unfavorable factors such as comedo necrosis, high grade, large size of DCIS, young patient age, negative ER status, or high-risk multigene panel scores? Should margin width be taken into consideration when determining WBRT delivery technique? Should DCIS with microinvasion be considered as invasive carcinoma or DCIS when determining optimal margin width? A positive margin, defined as ink on DCIS, is associated with a significant increase in IBTR. This increased risk is not nullified by the use of WBRT. There is no debate that a positive margin, defined as the presence of ink from the specimen surface on ducts containing DCIS, implies a potentially incomplete resection and is associated with a higher rate of IBTR. In the Early Breast Cancer Trialists’ Collaborative Group (EBCTCG) meta-analysis of randomized DCIS trials,1 patients with positive margins had a two-fold higher IBTR risk compared with patients with negative margins despite receiving WBRT (10-year IBTR rate, 24% v 12 %), and approximately 50% were invasive recurrences. The relationship between margin status and WBRT was examined in a subset analysis of the National Surgical Adjuvant Breast and Bowel Project (NSABP) B-17 trial by central pathology review of 573 of 818 participants.18 The annual hazard rate for IBTR after lumpectomy alone was 8.1 % for those with positive margins compared with 3.3% for patients with negative margins, reduced by WBRT to 2.7% and 1.2%, respectively. Positive margins were significantly associated with IBTR in a multivariable analysis of the long-term results of the European Organisation for Research and Treatment of Cancer (EORTC) 10853 trial.19 In the meta-analysis by Marinovich et al16 using the Bayesian analytic approach, similar results were obtained. After adjustment for study-level follow-up, patients with negative margins were significantly less likely to experience IBTR than patients with positive margins (OR, 0.45; 95% credible interval [CrI], 0.30 to 0.62). Similar findings were observed in the frequentist analysis, which necessitated combining positive and close margins (OR, 0.53; 95% CI, 0.45 to 0.62; P < .001). This result persisted after study-level adjustment for age, median recruitment year, grade of DCIS, use of WBRT, and use of endocrine therapy. Margins of at least 2 mm are associated with a reduced risk of IBTR relative to narrower negative margin widths in patients undergoing WBRT. The routine practice of obtaining negative margin widths wider than 2 mm is not supported by the evidence. To address the question of optimal negative margin width, the MP considered data on the distribution of DCIS in the breast. Studies of mastectomy specimens using whole-organ sectioning and radiologic–pathologic correlation have demonstrated that although most cases of DCIS are unicentric, the involvement of the segment may be multifocal, with so-called gaps of uninvolved tissue between foci of DCIS.20 Given this, a negative margin does not guarantee the absence of residual DCIS in the breast. There are also technical limitations to margin assessment that affect the relationship between margin width and IBTR. For example, margins are artifactually narrower ex vivo, when specimens become flattened from lack of surrounding supportive tissue, a phenomenon exaggerated by compression for specimen radiography. Additionally, surface ink can track into deeper portions of the specimen, posing significant challenges in determining true margin location. Finally, tumor-to-ink distance on any single slide may not be representative of the entire specimen; an adequate margin on one section may become positive if additional or deeper sections are examined. Two common methods for margin evaluation include sectioning perpendicular to ink (to determine tumor-to-ink width) or en-face examination of shaved margins (where any residual tumor in the shaved specimen is considered a positive margin). Although an advantage of the shaved method is greater surface-area examination, a known disadvantage is the higher frequency of margins categorized as positive that are, in comparison, negative by the perpendicular method, which may in turn result in unnecessary re-excision or even mastectomy.21 Specimen sampling is also highly variable, and even total sequential embedding results in only a small proportion (< 1%) of the specimen margins being examined.22 Together, these studies highlight the substantial variability in margin assessment irrespective of the technique used. Despite variability in margin assessment, great emphasis has been placed on achieving specific negative margin widths. In the frequentist meta-analysis by Marinovich et al,16 comparison of specific margin width thresholds (2, 3 or 5, and 10 mm) relative to negative margins defined as wider than 0 or 1 mm included 7,883 patients with a median follow-up of 6.5 years. The ORs for 2 mm (0.51; 95% CI, 0.31 to 0.85; P = .01), 3 or 5 mm (0.42; 95% CI, 0.18 to 0.97; P = .04), and 10 mm (0.60; 95% CI, 0.33 to 1.08; P = .09) showed comparable reductions in the odds of IBTR compared with wider than 0 or 1 mm, and pairwise comparisons found no significant differences in the odds of IBTR between the 2-, 3- or 5-, and 10-mm margin thresholds (all P > .40). In this model, the predicted 10-year IBTR probability for 2-mm negative margins was 10.1% (95% CI, 6.3% to 16.0%) compared with 8.5% for 3- or 5-mm (95% CI, 3.6% to 18.9%) and 11.7% (95% CI, 6.7% to 19.4%) for 10-mm margins. In the Bayesian network meta-analysis (Table 4),16 the ORs of incrementally wider negative margins relative to the positive margin category were 0.45 (95% CrI, 0.32 to 0.61) for wider than 0 or 1 mm, 0.32 (95% CrI, 0.21 to 0.48) for 2 mm, 0.30 (95% CrI, 0.12 to 0.76) for 3 mm, and 0.32 (95% CrI, 0.19 to 0.49) for 10 mm. Adjustments for clinically relevant covariates, including sensitivity analysis limited to studies using radiation therapy (RT), did not alter these mean OR estimates (Table 4). In this analysis, the relative OR of IBTR between the 10- and 2-mm threshold groups compared with positive margins was 0.99 (95% CrI, 0.61 to 1.64), indicating no statistically meaningful difference. The choice of the 2-mm threshold rather than wider than 0 (no ink on tumor) or 1 mm was based on evidence of a statistically significant decrease in IBTR for 2 mm compared with 0 or 1 mm in the frequentist analysis (OR, 0.51; 95% CI, 0.31 to 0.85; P = .01), coupled with weak evidence in the Bayesian model of a reduction in IBTR with the 2-mm distance compared with smaller distances (relative OR, 0.72; 95% CrI, 0.47 to 1.08). However, although the MP felt that there was evidence that the 2-mm margin optimized local control, clinical judgment must be used in determining whether patients with smaller negative margin widths (> 0 or 1 mm) require re-excision. Factors felt to be important to consider include assessment of IBTR risk (residual calcifications on postexcision mammography, extent of DCIS in proximity to margin, and which margin is close [i.e. anterior excised to skin or posterior excised to pectoral fascia v margins associated with residual breast tissue]), cosmetic impact of re-excision, and overall life expectancy. The conclusion that re-excision could be selectively employed with margins smaller than 2 mm was influenced by the high long-term rates of local control reported in the NSABP DCIS trials,7 which required a margin of no ink on tumor, as well as the study by Van Zee et al,23 which, after adjusting for multiple covariates, found no difference in risk between margins of 2 mm or narrower and more widely clear margins in patients receiving WBRT. Treatment with excision alone, regardless of margin width, is associated with substantially higher rates of IBTR than treatment with excision and WBRT, even in predefined low-risk patients. The optimal margin width for treatment with excision alone is unknown but should be at least 2 mm. Some evidence suggests lower rates of IBTR with margin widths wider than 2 mm. The EBCTCG DCIS meta-analysis showed that the 10-year IBTR rate for patients treated with excision alone was higher than that with excision and WBRT, both for those with negative (26.0% v 12.0%; P < .001) and positive margins (48.3% v 24.2%; P < .001).1 The same proportional benefit for WBRT was seen in women treated with local excision and those having large sector resections. In the Radiation Therapy Oncology Group (RTOG) 9804 trial, where patients with small, mammographically detected low- to intermediate-grade DCIS and margins of 3 mm or wider were randomly assigned to excision alone or excision plus WBRT, 7-year IBTR rates were 6.7% and 0.9% (P < .001), respectively.4 The prospective, multi-institutional Eastern Cooperative Oncology Group (ECOG) E5194 study of patients with low-risk DCIS treated with excision alone (negative margin width ≥ 3 mm) reported 12-year rates of IBTR of 14.4% for non–high-grade DCIS 2.5 cm or smaller in size and 24.6% for high-grade DCIS 1 cm or smaller in size. However, IBTR rates did not differ significantly for margins narrower than 5, 5 to 9, or 10 mm or wider (P = .85).24 A prospective single-arm study of patients with mammographically detected DCIS 2.5 cm or smaller in size reported a 10-year IBTR rate of 15.6%,25 despite requiring margins of 1 cm or wider.4 In contrast, Van Zee et al23 found in 1,266 patients treated with excision alone that the 10-year IBTR rate was 16% for margins wider than 10 mm and increased to 23% for margins between 2.1 and 10 mm, 27% for margins greater than 0 to 2 mm, and 41% for positive margins. After adjustment for multiple factors, margin width was a more highly significant predictor of IBTR (P < .001). The MP felt that overall, the heterogeneity of the evidence among these studies did not allow for a definitive recommendation for margin widths greater than 2 mm in patients foregoing RT. Rates of IBTR are reduced with endocrine therapy, but there is no evidence of an association between endocrine therapy and negative margin width. Tamoxifen reduces the incidence of both IBTR and contralateral breast cancer, but the absolute benefit is relatively small.7,26 In the NSABP B-24 trial, patients treated with lumpectomy and WBRT were randomly assigned to tamoxifen or placebo; 25% of the population had positive or unknown margins. The 15-year IBTR rate for the placebo group was 17.4% in those with positive margins compared with 7.4% for clear margins. Adjuvant tamoxifen lowered IBTR rates among those with positive margins to levels similar to those in the negative-margin cohort (placebo, 17.4%; tamoxifen, 11.5%); conversely, there was little impact of tamoxifen in the negative-margin cohort (IBTR: placebo, 7.4%; tamoxifen, 7.5%).7 Hence, the MP felt that although tamoxifen decreased IBTR in patients with positive margins, there was no evidence to suggest an association between negative margin width and benefit of endocrine therapy. Multiple factors have been shown to be associated with the risk of IBTR in patients treated with and without WBRT, but there are no data addressing whether margin widths should be influenced by these factors. Young patient age has consistently been associated with IBTR, and tumor factors such as histologic pattern, comedo necrosis, and nuclear grade and size of DCIS also modify the risk of IBTR.18,27,28 More recently, unfavorable gene profile scores have also been associated with IBTR.29,30 However, there are no data addressing whether margin widths should be influenced by these factors, and this represents an appropriate area for further study. Choice of WBRT delivery technique, fractionation, and boost dose should not be dependent on negative margin width. There is insufficient evidence to address optimal margin widths for accelerated partial-breast irradiation (APBI). Therefore, there is no evidence that margin width, in isolation, should determine radiation delivery technique, fractionation of WBRT, or use or dose of a boost. The MP considered the evidence base insufficient to address optimal margin width in APBI. DCIS with microinvasion (DCIS-M), defined as no invasive focus larger than 1 mm in size, should be considered DCIS when determining optimal margin width. There are two diagnoses for which there is overlap between our DCIS margin guideline and the SSO-ASTRO invasive cancer margin guideline:34 DCIS-M and invasive carcinoma associated with DCIS (extensive intraductal component or lesser amounts of scattered DCIS). In DCIS-M, defined by the American Joint Committee on Cancer as the extension of cancer cells beyond the basement membrane with no focus more than 0.1 cm in greatest dimension,35 small retrospective studies have suggested that rates of IBTR are similar to those seen with pure DCIS.36,37 In the absence of specific data to address margin width in DCIS-M, the MP, based on expert opinion, felt that DCIS-M should be considered DCIS when determining the optimal margin width, given that the majority of the lesion is composed of DCIS and that systemic therapy utilization for DCIS-M more closely reflects the treatment pattern for DCIS than for invasive carcinoma. In contrast, when considering margin width for an invasive cancer with a DCIS component, regardless of extent, the MP felt that the invasive cancer guideline34 was applicable, primarily because the natural history and treatment of these lesions are more similar to those of invasive cancer than DCIS, even when the close margin contains DCIS. In particular, a vast majority of patients with invasive cancer receive systemic therapy, which remains less common for pure DCIS. The invasive cancer guideline34 does note that an extensive intraductal component is a marker for a potential heavy burden of residual DCIS and that postexcision mammography, presence of multiple close margins, and young patient age can be used to select patients who will benefit from re-excision. These statements echo the discussion of the MP regarding the use of re-excision in pure DCIS with margins narrower than 2 mm discussed previously, and thus, we believe the guidelines are compatible. There are limitations to this guideline. It applies to patients with DCIS and DCIS-M treated with WBRT. The findings should not be extrapolated to patients with DCIS treated with APBI or those with invasive carcinoma, for whom a separate guideline has been developed.34 Although studies including patients treated with and without WBRT were included in the meta-analysis, a meta-analysis of studies of treatment with excision alone was not conducted. Additionally, all of the studies included in the meta-analysis were retrospective. However, in the absence of any planned prospective randomized trials addressing the question of margin width and local recurrence, these studies represent the best available evidence for clinical decision making. Supported by a grant from Susan G. Komen; by a National Breast Cancer Foundation (NBCF; NBCF Australia) Breast Cancer Research Leadership Fellowship (N.H.); and by Cancer Institute New South Wales Fellowship (M.L.M.). The methods for the meta-analysis are described in full by Marinovich et al16 and are summarized briefly here. Eligible studies enrolled 50 women or more with ductal carcinoma in situ receiving breast-conserving surgery, allowed calculation of the crude local recurrence (LR) rate by microscopic margin status, defined negative margins by a numeric threshold, reported mean or median age, and presented mean or median follow-up of 48 months or longer. MEDLINE, PREMEDLINE, EMBASE, and all evidence-based medicine reviews were searched in October 2014. One investigator screened citations, with a sample independently screened by a second. Two investigators independently extracted data; disagreements were arbitrated by a third investigator. Margins were dichotomized into positive/close versus negative margin status using one distance threshold per study (> 0 or 1, 2, 3 or 5, and 10 mm). The association between LR and margin status and distance was modeled using random effects logistic metaregression. Odds ratios (ORs) are presented for negative relative to positive/close margins, and threshold distances relative to wider than 0 or 1 mm. Network meta-analysis using mixed treatment comparisons used data from single or multiple thresholds within studies (when presented) to compare directly (within study) and indirectly (between studies) the probability of LR between margin categories (positive, > 0 or 1, 2, 3, and 10 mm). ORs compare negative versus positive margins, and distance categories relative to positive margins. All models were adjusted for study-level follow-up time. Other covariates were assessed for their effect on model estimates (age, median year of recruitment, proportion of patients who received endocrine therapy, proportion of patients with high-grade ductal carcinoma in situ, and proportion of patients undergoing whole-breast irradiation).